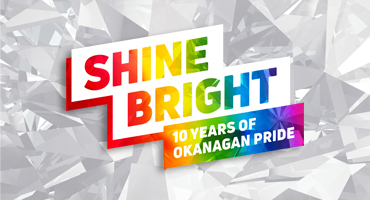 This milestone 10 year anniversary employed "Shine Bright" as the overarching theme for the Okanagan Pride Festival. 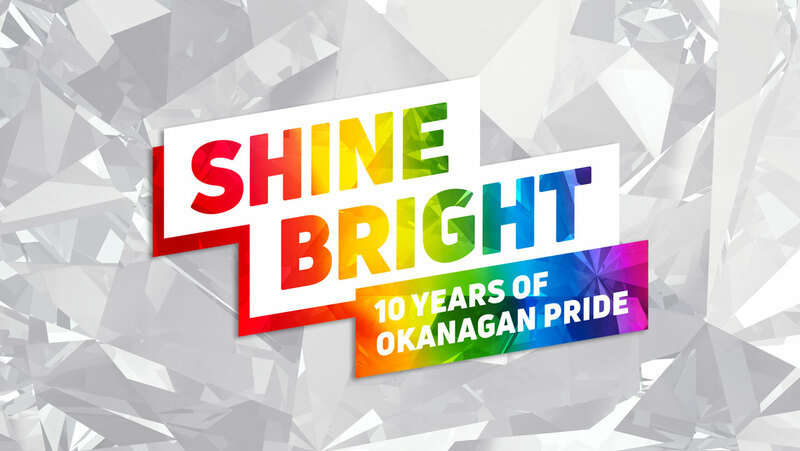 Each and every year the Okanagan Pride Society has grown stronger and shone brighter for the LGBT2Q+ community and its allies here in the Okanagan. 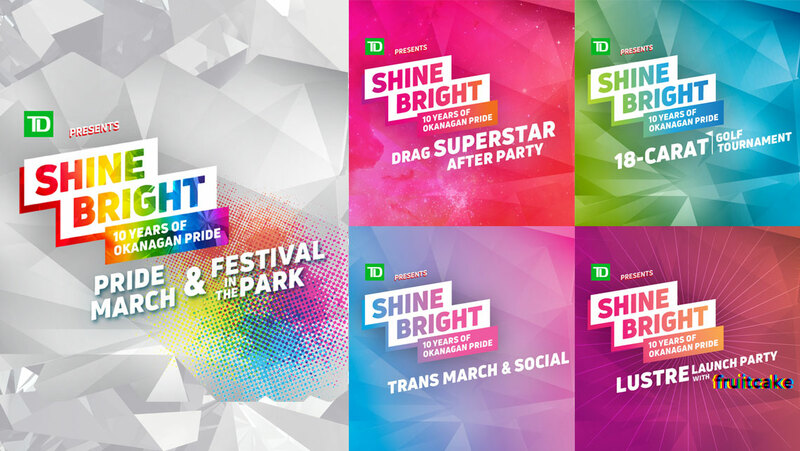 This year's Pride Festival being bigger and brighter than ever, required designs that embodied the spirit and dedication to equality and inclusion. 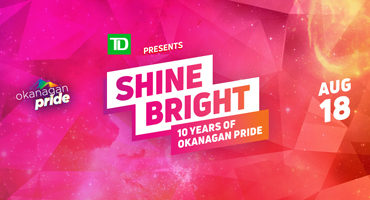 The diamond was the inspiration for the designs. Keeping in mind the many indesputable qualities of diamonds there was a plethora of ideas to consider in creating designs under the "Shine Bright" theme. For example, diamonds come in all shapes and sizes in a myriad of colours, tints and shades. They shine, shimmer and sparkle under the right light. They are noticeable and expressive. And they are known for their strength as much as their brilliance. Coming up with a design concept that embodies all of these qualities to properly showcase the theme was no easy task. 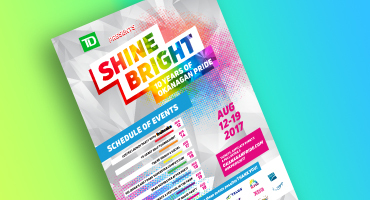 Making use of the pride colour palette (the rainbow) in new and surprising ways gives a fresh and modern spin on the expected. It also creates a system of differentiation for separate events of the same festival. 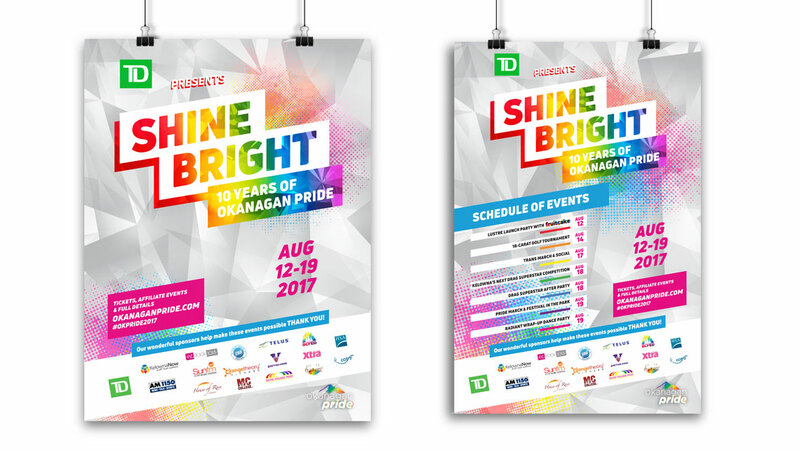 The result was a collection of graphic design "gems" that inspired celebration and excitement for Okanagan Pride.